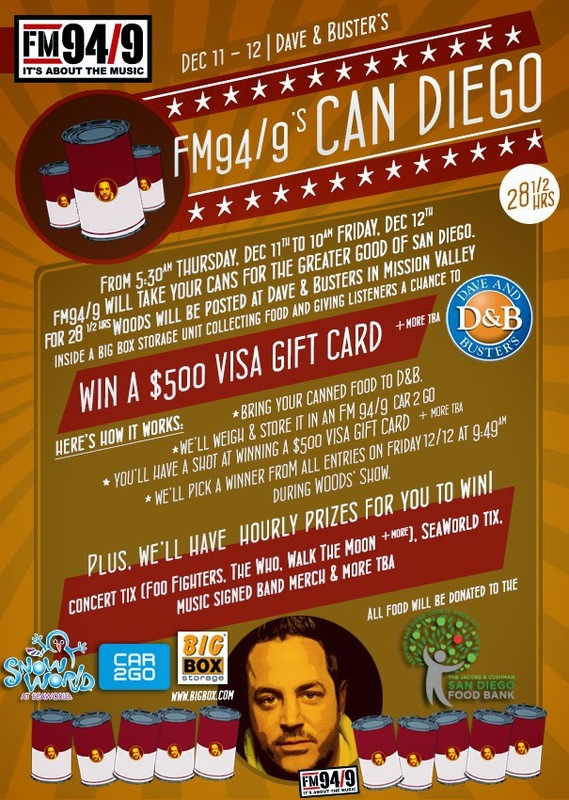 San Diego, CA - Monday, December 8th, 2014: FM 94/9 is teaming up with the Jacobs & Cushman San Diego Food Bank,Car2Go, Big Box Storage, Dave & Buster's, The Lafayette Hotel and SeaWorld for our 28 1/2 hour Food Drive! Bring any non-perishable food items for donation benefiting the San Diego Food Bank. Everyone who donates will be entered for a chances to win a grand prize of a $500 Visa Gift Card, SeaWorld and concert tickets, artist signed merch, as well as other prizes. 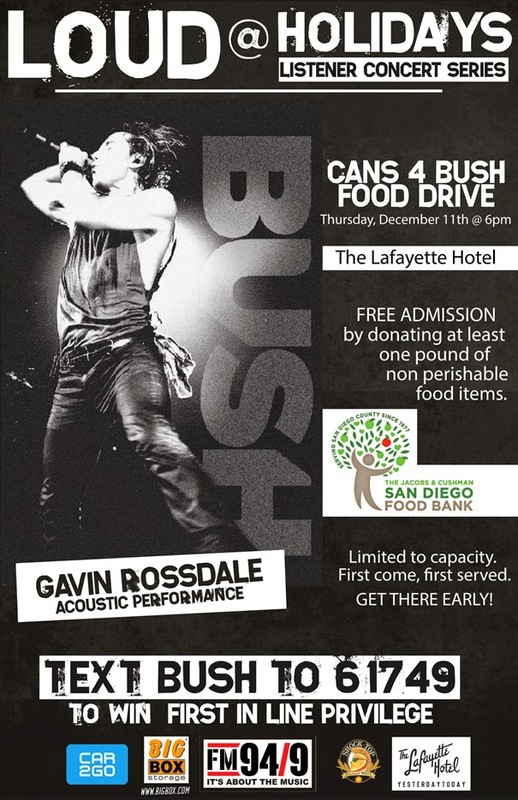 Simultaneously, we'll also be hosting a very special Loud @ acoustic performance with Gavin Rossdale, lead singer from Bush. Free Admission. 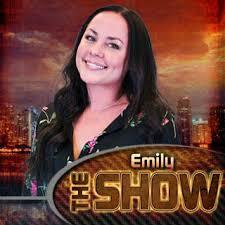 Must donate at least 1 pound of non perishable food items benefiting the San Diego Food Bank . Limited capacity. First come, first served. We appreciate your help in advance and can't wait to knock this out of the park and help feed the hungry this holiday season.